Caribbean Beach Resort has been going through a huge refurbishment process. 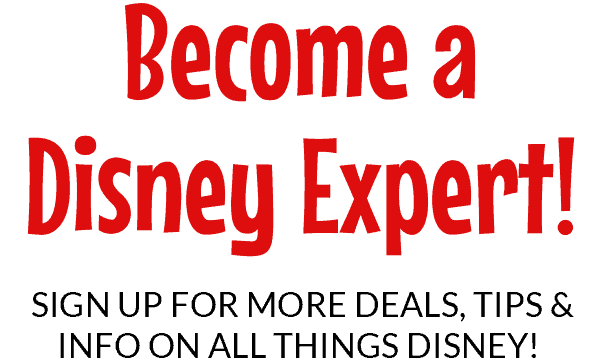 We have just learned about two new dining experiences coming very soon! 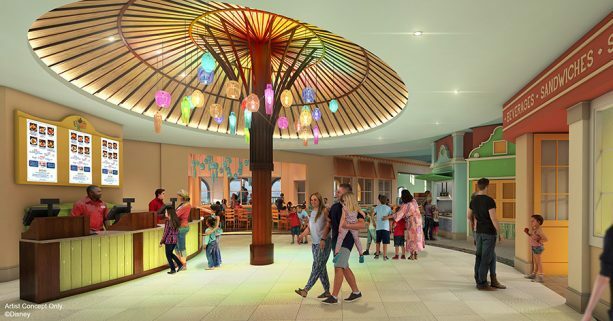 Just Released: New Dining Locations At Disney’s Caribbean Beach Resort. 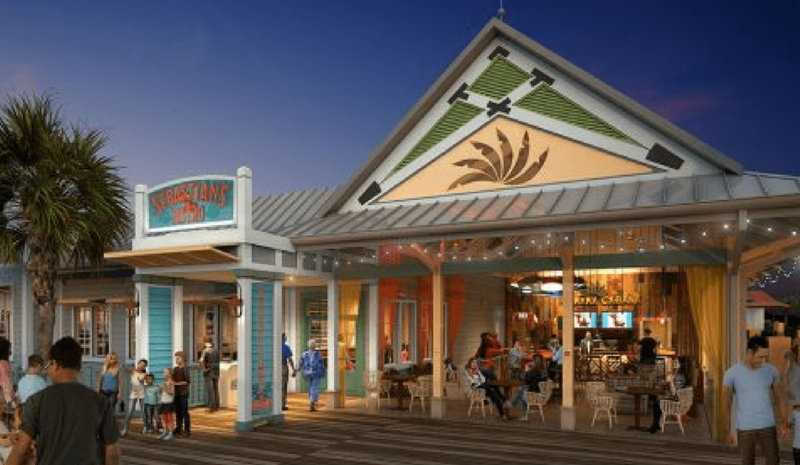 We are so excited about these two new dining experiences coming to Disney’s Caribbean Beach Resort! 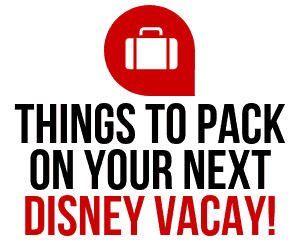 Thanks to Disney Parks Blog for keeping us up to date on this fabulous news! Sebastian’s Bistro: We are super excited about Sebastian having a restaurant! With a Latin and Caribbean menu, it sounds like it will be the best restaurant “under the sea”! 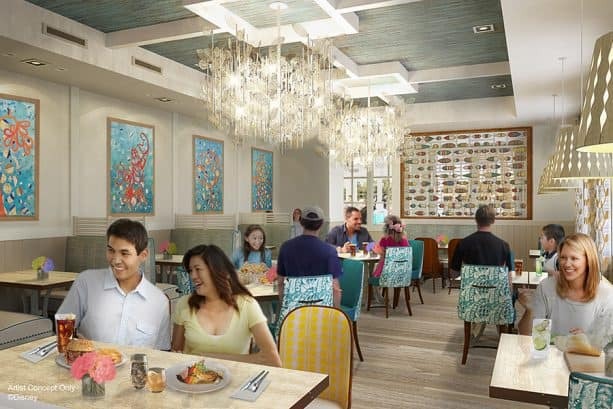 Located along the Old Port Royale waterfront, Sebastian’s Bistro will feature beautiful views, warm island hospitality and a menu that blends Latin and Caribbean flavors from market-fresh ingredients. When you arrive at the casual, family-friendly restaurant, you’ll see a blue shiplap marquee where everyone’s favorite red crustacean invites you to dine on island time. Inside, you’ll feel as though you’ve just stepped into a tropical beachfront home. Centertown Market: This will be an “indoor” market place. You’ll enter the space under a large palapa-like structure, accented with glowing, colored light pendants made from glass bottles. The market will feature open shutters, wooden light posts, awnings, ornamentation and unique seating areas. You will also have access to the Grab n’ Go market for specialty coffee and quick bites. Please note that menus and pricing have not been released yet, but as soon as they are, we will keep you updated! Dining options are just one of the many reasons to stay on property for your next Disney World vacation! 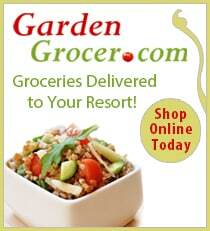 Click HERE to see why! 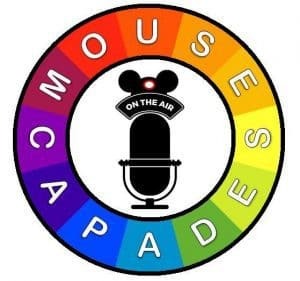 We have a great Facebook Group, DISNEY EXPRESS LANE, and would love to have join us for lots of Disney information and fun!